Ready to assemble. 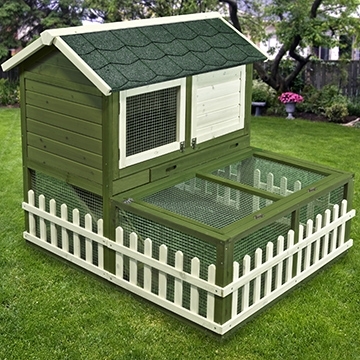 Hinged waterproof asphalt roof can be used for guinea pigs or rabbits. 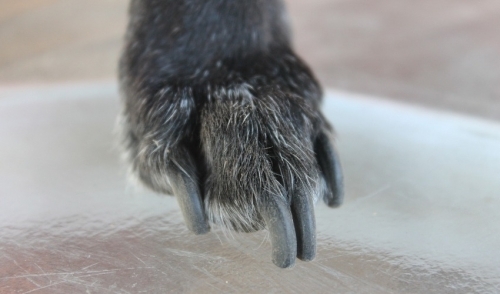 Hop way door, durable plastic tray, non toxic stain, plastic protective feet. 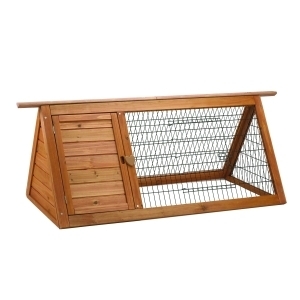 Rabbit run can be added for your pets pleasure. Highest quality materials and craftmanship. 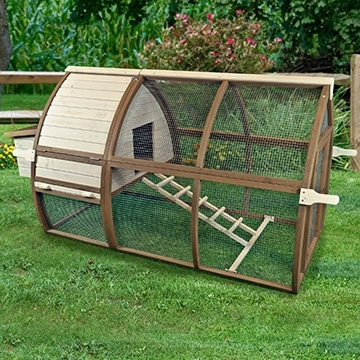 Deluxe multi-level pet home. 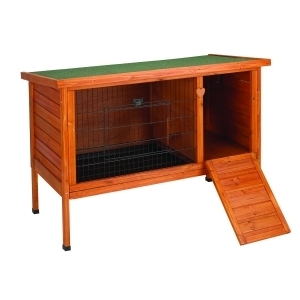 Full open roof top, locking door, slip proof ramp and nesting box. 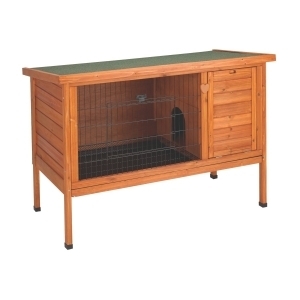 Dimensions: 46 x 25 x 36.5. Premium features in a fashionable outdoor home. 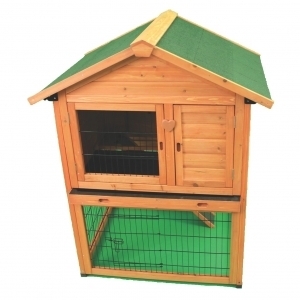 Fulll open roof, slide out door and built in nest box. 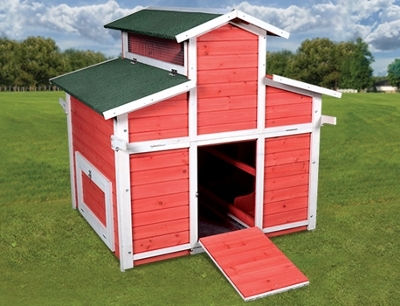 Two level home includes bottom pasture pen. Dimensions: 38 x 31 x 47. Hop way door so pet can come and go. 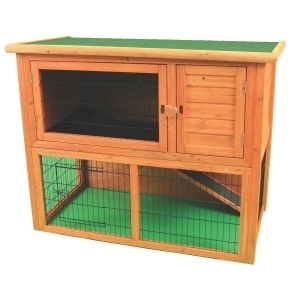 For rabbits, guinea pigs and ferrets. 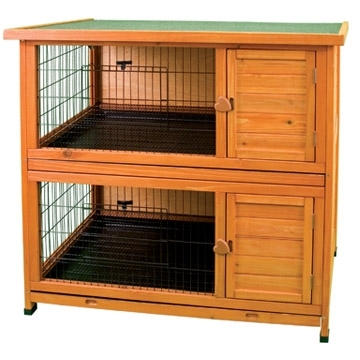 Has a cozy nest box with solid floor, raised mesh floor grate, locking doorways and draft proof design. For indoor or outdoor use.